Imagine that after spending all morning lying in the sand, playing in the ocean and hunting for seashells, you only have to walk a few yards to get to a kitchen where you can make yourself a quick sandwich, reapply your sunscreen and grab another book before heading back to your spot on the beach. No, you have not died and gone to Heaven, but you are staying in a Corolla, NC, vacation rental...and for pretty sweet price that won’t crush your wallet, thank you very much. The majority of these Corolla, NC, vacation rentals are also quite spacious, offering an average of five or six rooms. Their size makes them ideal for vacationing with a family or two or a large group of friends. Going with more people can help you get a better Corolla NC vacation rental deal because the price can be split among the parties sharing the rental. Some of these Corolla, NC, vacation rentals come with luxurious amenities such as private pools, personal beach accesses, game rooms and outdoor hot tubs. Depending on when you’re planning your trip to the Outer Banks, keep in mind that some Corolla, NC, rental deals include specials for particular seasons or holidays. 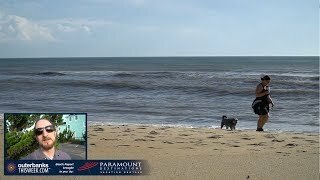 Ever seen the Outer Banks in October? It’s not crowded, the weather is gorgeous and many vacation rentals throughout the Outer Banksfeature reduced prices. Not all offers available for these rentals are monetary. The features of some, like brand new cottages or proximity to the beach are special deals in and of themselves! And if you want to bring your four-legged, furry friend on vacation with you, pet-friendly rentals are also available. Go to our all-inclusive site if you'd like to see every Corolla, NC, vacation rental available in the area. If you're curious about all the Outer Banks vacation rental deals from north to south, we keep you up to date on what's going on and where to find it.